There is something so mystical and lonely and quiet and wild about being outside on a foggy, misty morning. It makes you want to tread carefully and gently wherever you go. It calls for hushed voices and silence. Sounds of mankind are muffled in the folds of the fog as it rolls across the water, obscuring the trees and shoreline. It reminds you of ancient times and just how old this earth of ours really is. 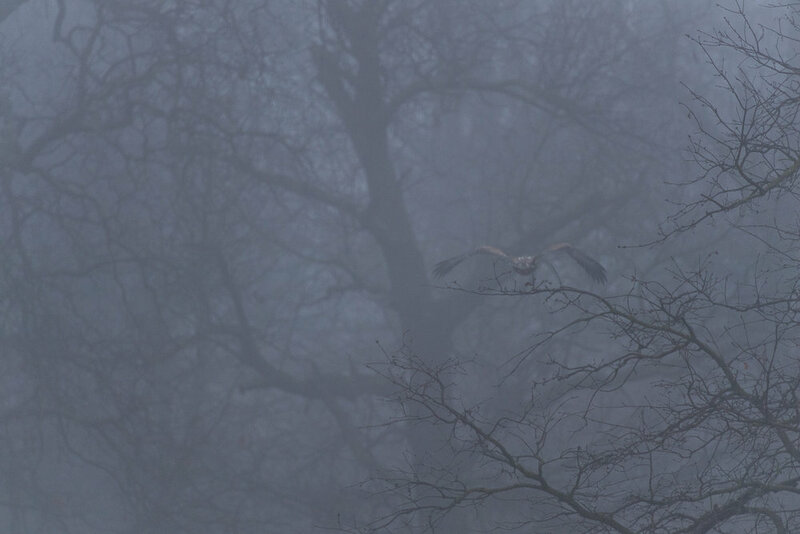 The sentries guarding this fog shrouded scene, hunched over with damp wings and fierce eyes, are the eagles that live here, just minutes from the highway and modern life, but are early owners of all that is before them. They were here first and will be here for long afterwards.